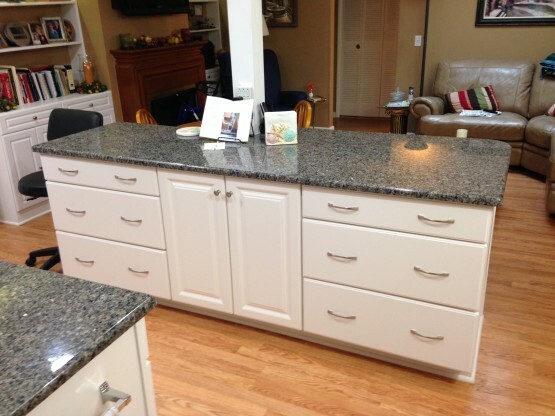 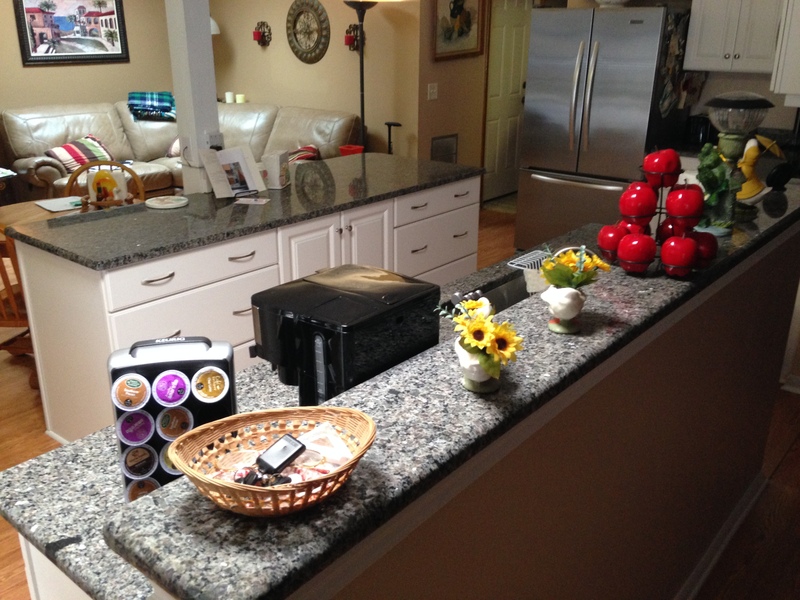 The goal of this Kitchen Remodel was to provide an open space for the home owner who is handicapped. 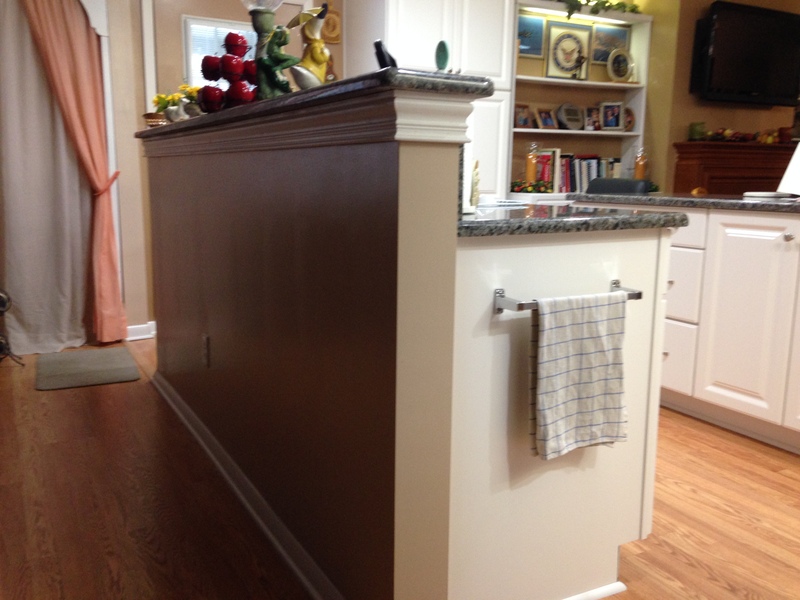 KMS Systems removed a load bearing wall, installed a beam and post to create the space required for this kitchen. 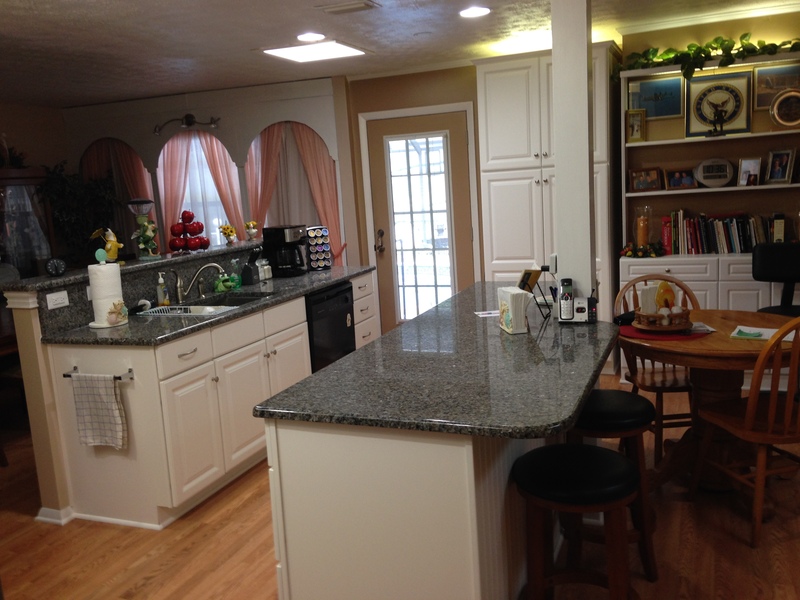 The beam is located above the ceiling. The post is visible at the island. 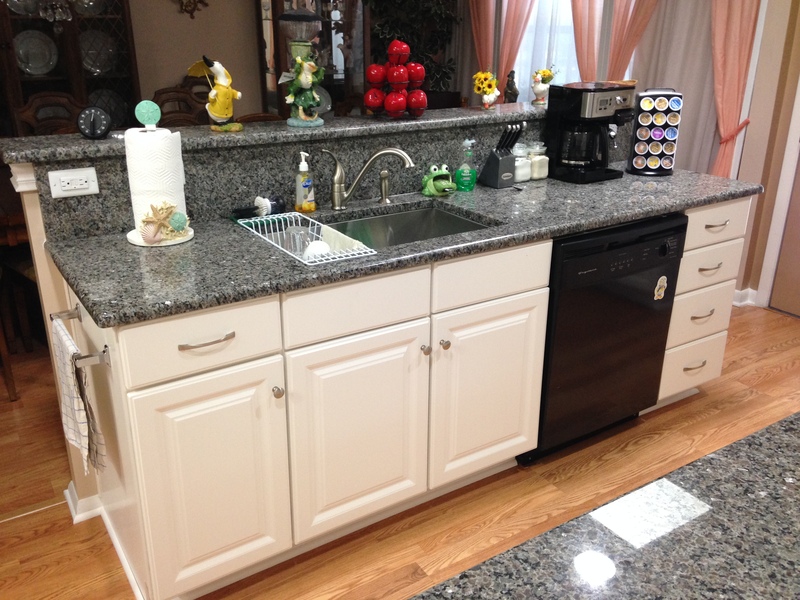 Cabinets featured are Wellborn Premier Series. 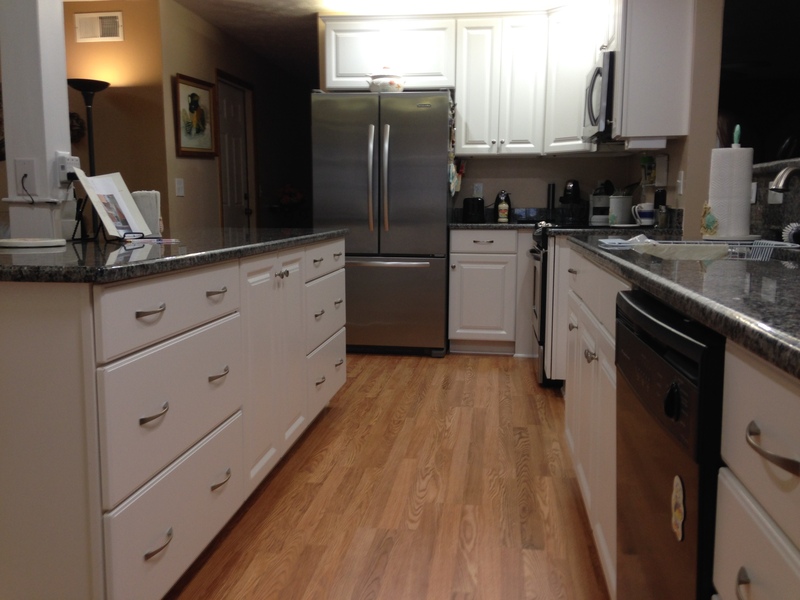 Another Kitchen Remodel by KMS Systems, Inc. February 2015.